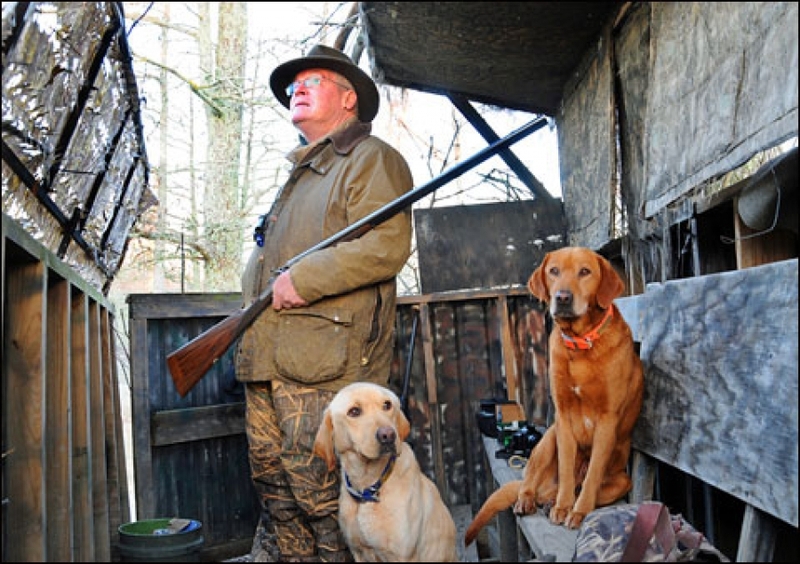 Shotgun Life - Is Your Dog Disobedient – or Deaf? That means also that the dog’s hearing is four times as sensitive and thus four times more susceptible to damage from loud noises. Unfortunately for gundogs waterfowl shotgun loads have been creeping up in muzzle velocity and shot load for the past 40 years. That means also that the noise level of the shotgun has been increasing. Today’s “heavy loads” are reaching 1600 feet per second muzzle velocity. A 12-gauge, three-inch magnum load hits the noise scale at 160 decibels. I can’t find data for a 3½-inch magnum load but I am betting that it is a good bit higher. Look at the numbers for humans on the above chart. A person without ear protection shooting a 3-inch magnum without ear protection will get deaf very early. The chart and hearing data is abundant for humans. The research on dogs and their hearing and damage to hearing from loud noise is nearly non-existent. What happens when a 3½-inch magnum shell is fired close to a dog’s ears? There is apparently little to no data on the effects of shotgun noise on dog ears. I have been unable also to find a measurement on noise level of a 3½-inch magnum shot shell. Robert Milner with two of his British Labrador puppies. Ear protection and distance are the major defenses for shooting noise. From ear muffs and ear plugs you can get from 20 dB to 30 dB reduction from each. If you combine the two, plugs and muffs, you can add another 5 dB to the highest individual protection level of the two. Thus wearing ear plugs with 30 dB of protection and muffs with 30 dB of protection, The human will get a total protection factor of 35 dB. What about dogs? What’s happening to their ears? The dog without hearing protection? 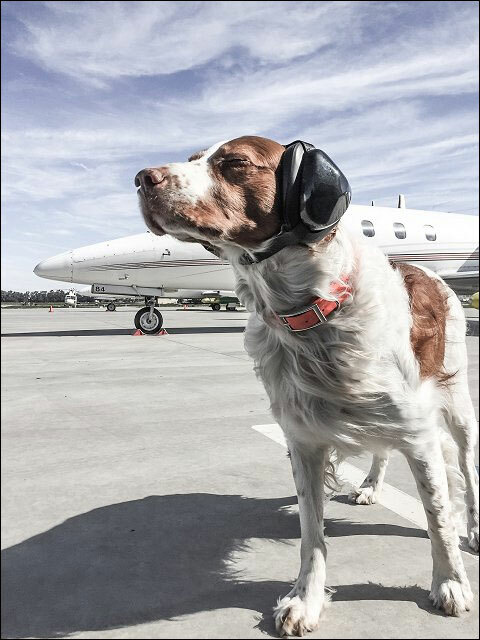 How high can you go in exposure to shooting noise without permanently damaging the dog’s ears? With the apparent absence of research data you can surmise that with four times the noise sensitivity of a human, the dog will encounter the ear damage threshold at 134 dB as compared to the human damage level of 140 dB. Robert Milner duck hunting with a side by side in his Mississippi blind. Protection for humans: ear muffs (30 dB) plus ear plugs (30 dB) combined give 35 (dB) of protection (because of bone and tissue conduction, the combined protection is not 60 dB as one might expect). If the man so protected is shooting a 3-inch magnum producing a 160-dB noise level then he will be exposed to a 125 dB noise level at each shot. That is below the damage threshold for man. Bu what about the dog? If his hearing is four times better, or more sensitive that a human’s hearing, it is reasonable to assume that the dog’s physiologic structure for hearing is four times more susceptible to damage than a human’s inner ear. Thus the dog’s ear is susceptible to damage at the lower noise level of 134 dB. To protect your gundog’s hearing keep it a reasonable distance from the actual shooting. What about the dog sitting next to the man firing the 3-inch magnum shell producing 160 dB? Mutt Muffs will give him 20 dB of protection. Thus he is being exposed to 160 dB – 20 dB = 140 dB. That 140 dB is 6 decibels of noise level over his damage threshold. He is going to progressively become more permanently deaf over time and more shooting. You can shield him from that damaging noise level with distance. Sit him six feet behind the gun and away from the direction of shooting. Then you will get his exposure down to a safe noise level of 134 dB for dogs. If the dog is not wearing Mutt Muffs then the only protection you can provide is distance from the gun. To achieve the needed noise shielding of 26 dB, you have to use distance. Noise falls off at a logarithmic rate as distance increases. If you do the math, you find that for every doubling of distance from the noise source, the gun, you get a 6 dB reduction in noise. If you apply that rule you will find that to get the dog’s exposure level down to the safe level of 134 dB, you need to sit him 20 yards behind the gun and away from the direction of shooting. 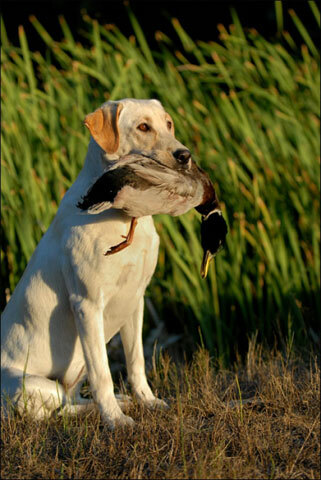 It becomes a choice between a deaf dog or a bigger duck blind or lower energy shotgun shells. I personally have solved the problem by getting myself some electronic ear plugs and a 20 gauge double shotgun in which I shoot 2½-inch shells with ¾ ounce of #5 bismuth with muzzle velocity of 1175 feet per second for waterfowl. On upland game I shoot the same 20-gauge double shotgun with Winchester AA 2¾-inch shells loaded with ⅞ ounce of lead #7½ shot and a muzzle velocity of 980 feet per second. Noise levels for these loads are extremely low. The dog and I are much happier and both of us can hear better. The dog is much more obedient and I also miss fewer ducks. Robert Milner founder of Wildrose Kennels and founder of Duckhill Kennels. He established Duckhill Kennels to serve as a laboratory for developing and improving training processes that remove as much force as possible from the training process and replace it with operant conditioning/positive reinforcement training techniques so that the typical hunter can better produce a well-trained, effective gundog. 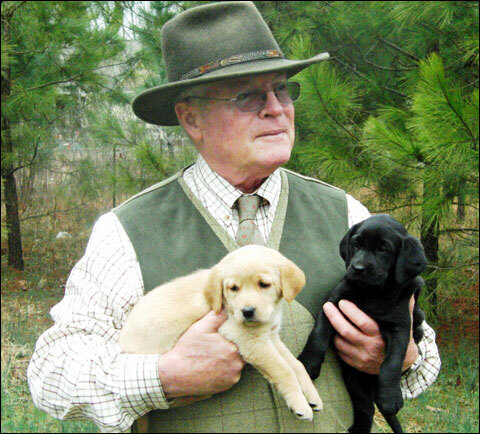 Over the years he has trained more than a thousand American bred Labradors for Field trial and gundog work and have trained a similar number of British Bred Labradors for gundog work. He has also have trained explosive detection dogs and disaster search (USAR) dogs. He has written the books Retriever Training for the Duck Hunter; Retriever Training, A Back to Basics Approach; and Absolutely Positive Gundog Training. He also wrote A Disaster Search Dog Training Manual (FEMA).